The rural workforce in Brazil is getting younger, according to recent research. Meet the Gen-Y agripreneurs changing the face of farming in Brazil. By Raphael Marques da Silva, on behalf of HarvestPlus. The economic crisis in Brazil has chosen millennials–the most apt generation for building the future of the country–as its main victim. According to a survey on Millennials and the Nem Nem Generation, conducted by the Standard Intelligence Center in partnership with MindMiners, about 25% of young people between 18 and 32 years old are unemployed. At the same time, the average age of Brazilian farmers has fallen from 48 (2013) to 46 years old (2017), while the presence of women in the field increased by 7% according to another recent study. These farmers are also showing higher levels of education and tech savviness. The study, managed by the Brazilian Rural Marketing and Agribusiness Association, highlighted that 21% of the interviewed farmers had an advanced degree, with an emphasis on agronomy (42%), veterinary medicine (9%) and corporate administration (7%). And unlike farmers from previous generations, the majority are online and regularly use social media as a means of communication, with nearly all of them using Whatsapp (96%), while 67% interact with Facebook and 24% with YouTube. These studies reflect the fact that Brazil is in the midst of a socio-economic change in which the rural communities, long seen as lagging behind, are catching up to the city. Priorities among farmers are shifting too, with producers turning towards suppliers who are dedicated to environmentally sustainable practices. With a more engaged, connected and familiar rural environment, farmers in the countryside are increasingly foregoing large urban centers that are plagued by a cruel recession. Data and trends gathered from these studies point to a Generation Y that is more sustainability-focused, ideological and even scientific. Valdileia Silva, 21, is an agricultural technician and an example of the new female farmer. The daughter of rural producers from the city of Oeiras-PI, Valdileia works with her father, Luís Costa e Silva, on the family farm. She is enthusiastic about the innovative measures being implemented in their field, such as solar energy irrigation and cultivation of biofortified crop varieties. Solar irrigation has helped save energy and water, and biofortified crops – made available to family famers like Valdileia through the Brazilian Agricultural Research Corporation (Embrapa) and the HarvestPlus research program – have provided more minerals and vitamins. For Joni Knapp, 20, a technician in agriculture and the environment, his experience in the city lacked “contact with the earth” and he never felt quite at home. “The values ​​from the countryside, including the importance of health and knowing what you produce, encouraged me to return to the field,” says Joni, who lives in the municipality ​​of Campina das Missões, in Rio Grande do Sul. His family business involves producing milk through a cooperative to then pasteurize the product. Combining sustainability and innovation comes naturally to the young farmer. His hunger for knowledge has kept him in touch with a cheese producer in the region who is experienced in enriching the product with micronutrients. According to Joni, dialogue with elders is fundamental, but it’s something that often does not exist in the field, leading young people to leave. An administrator and farmer, Mauricio is critical of the old “jeitinho” and believes the new generation who work in the fields has shown an increasing commitment to environmental and occupational safety concerns. Mauricio is the secretary of Socicana – Guariba Sugar Suppliers Association in São Paulo, where 60% of the country’s sugarcane is cultivated. Like any farmer, Maurício sees a lot of potential in agriculture. This optimism is crucial because volatility is part of the daily life of a farmer. Uncontrollable factors such as climate and pests can compromise an entire harvest, and it is up to the farmer to be resilient, and to return to the next season with more experience and better safety measures. Lívia Gonçalves de Souza, 32, is also part of the Sugar Suppliers Association. She graduated in agronomy and makes a good living planting sugarcane. The rural entrepreneur who speaks with pride about the recognition she has already won among regional producers for having entered the market early and proven herself capable. She has also gained much credibility for her use of agricultural practices like precision agriculture. “Today, your technical degree is of no use if you’re not a good manager of your property,” she said. The technique diminishes the impact on the environment by taking advantage of the same area at different times of the year though rotation or succession. The practice enhances the preservation of natural resources and increases the potential for greater stability and income. 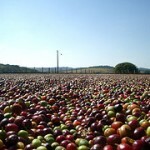 Research corporations in Brazil such as Embrapa have proven that this model contributes to improving soil quality, diversifying income alternatives. Diversifying means of production also increases local food security. Brazil’s cultural diversity is reflected in both the city and the countryside. Optimism is the word of the moment to characterize the agricultural sector, with the export of commodities being the main activity responsible for giving “oxygen” to the economy. The countryside is getting younger, with more women in the workforce, and a prevailing entrepreneurial spirit. Taking all business models to scale is a challenge, but the aspirations of Brazil’s millennial generation, and its commitment to seeking a livelihood through farming, is encouraging. Carla Mayara Borges is a third-generation grain farmer from the Mid-West of Brazil who convinced her family to take on an abandoned, unproductive farm in Mato Grosso and triple the size of their farm. Find out how she transformed the land, and with it, the neighbouring community. I was raised on a small farm, in a very little town that until today relies on agriculture. Throughout my life, my parents prioritized education; I have studied English in the United States and went to university in Germany to study Business Management, which is my passion. For the last decade, the farming industry in Brazil has been growing fast, driven by the Chinese demand for soybeans. My family has been part of this, using technology to increase productivity and transform degraded land into productive land. When I graduated in 2012 I came back home to help manage the farm, which was about a third of the size it is now. After the first year, I saw the opportunity to expand, but it would mean having to start a new farm from scratch in a region 650km away. Nonetheless, I was motivated by a desire to develop something myself and make difference in people’s lives. After some months, we found a degraded grass farm up in the state of Mato Grosso, with almost no productivity or investments, in a forgotten region of the state. I faced the challenge and moved there. It was a low land region, meaning it was prone to flooding during the summer. To some, this would make it useless for agriculture, but not to us. Our first step was to use GPS technology to measure slope of the area, and plan a drainage system for the farm, so we could solve the problem of excessive water in the land. We also took soil samples of the whole area, to find out how much lime and gypsum we had to use to correct the acidity of the soil. We used equipment that applied these minerals at different rates, depending on the needs of the soil in each part of the land. We also developed maps of the different types of soils we had on the farm (some areas contained silt, others clay and gravel). Having different soils in the same area made us look for solutions that would enable the plants to grow. During our first year, we faced lots of problems in the fields. We had problems with nitrogen fixation – our plantations looked very yellow. Also, the gravel spots made it difficult for the plants to emerge because of the of the hot weather. So, in the second year, we used drones and a plane equipped with a camera to take pictures of our first field of soybeans to detect the problems. We started using rice, millet and pasture crops to create a cover, and avoid problems of plant raising due to the silty soil and heat. Planting these crops also improved the microbiology of the land. We also used a machine that enabled us to apply microbial inoculants directly to planting rows, to improve the fixation of nitrogen. We have now also invested in equipment that plants seeds and applies fertilizer at a variable rate, depending on the type of the soil . We have a local weather station at the farm to help us decide when to start planting and when to stop. Having big, high-tech machinery for planting and harvesting has been critical for this farm, since we have a harsh rainy season that can make us lose our yields if we are not quick to plant and harvest at the right time. One of our latest investments has made us the first farmers in Brazil to buy a spraying technology called WEEDIT that has sensors allowing it to only spray weeds, vastly reducing the amount of the product sprayed. We also use technology and software to run operations for the three farms. We use the cloud to centralize all documentation, software to centralize our finances and control our stocks and other agricultural inputs, we even use online groups to make the purchase of machinery parts easier. Our most recent investment is in an app to improve the maintenance management of our machinery fleet, which is also one of my topics of research at Nuffield. We now are farming 4,000 hectares in this unit. My main inspiration to expand is to transform this poor region, with almost no employment and doomed to underdevelopment, into a region with opportunities they never saw before, through such a noble activity as producing food. We now have 24 direct employees in this unit, with more than 40 people living there. My daily life isn’t directly related to the production, but rather implementing good management processes to run it as professionally as we can. This involves stock management, controlling costs, human resources, dealing with environmental licenses and purchasing machinery parts. Agriculture in the Mid-West of Brazil is very competitive and you have to be very efficient to be profitable – it is also heavily regulated, so we do have to have to spend a lot of time on management. I have of course, faced many challenges. A lack of road infrastructure, high costs of production, complicated taxes and governmental regulations, large distances from one town to another, and a lack of a qualified workforce all make farming in Brazil challenging. At the beginning, being a young women in an agricultural leadership role was also sometimes difficult, but my father always gave me space to show my work and implement my ideas, so it’s been rewarding to work with my family. I do believe that to face these challenges, we have to seek to be a farm full of good values. We invest in high technology to be productive and control costs. We treat our employees as part of our family, teaching technical skills, sports and courses for their personal life. We take care of nature, as we preserve 30 per cent of our land and water. We invest in the community where we are, generating employment, helping schools, Indians that are in our surroundings, and investing in road maintenance. I am very proud of being a Brazilian farmer, as I do believe Brazil has some of the best practices in sustainability in the world’s agriculture. Carla will be spoke at the Oxford Farming Conference in January. Follow #OFC18 for live updates. The combination of crop protection products and biotech crops has significantly helped advance conservation agriculture as a means of restoring and protecting soil and limiting erosion. It is estimated that conservation agriculture can reduce soil erosion by 50 to 98 percent while also reducing greenhouse gas emissions by 80 percent through reduced oxidation of soil organic matter. No till is now being utilized on more than 95 million hectares, mostly in the USA, Brazil, Argentina, China, Canada and Paraguay. No till farming in the USA doubled in the five year period following the introduction of herbicide-tolerant soybeans. It is estimated that this led to the preservation of 247 million tons of topsoil and 243 million gallons of fuel in 2002 alone.